I tried over a year ago signing in without luck, gave up and now trying again, with no luck. I click sign in, it opens chrome and I grant permission for Series Guide, it goes back into the app with this screen. 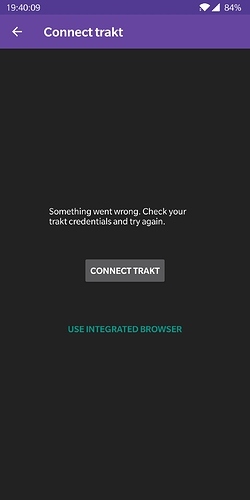 The only other thing mentioned at https://seriesgui.de/help#connecttrakt is: do you somehow (e.g. through Xposed) block access to the Android account system? Could not find anything conclusive in the error reports, either. The next update will improve on this so I hopefully have more information to go on. I’m extremely sorry for the late response. 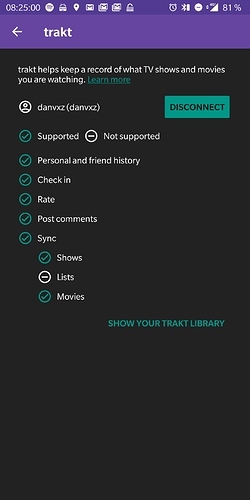 You were on the right track about Android account System. It must have been corrupted since adding Google account to the system didn’t work either. I did a factory reset and now am able to sign in to SeriesGuide with Trakt.